Here is a one minute way to start playing with Scalate: 30 seconds to finish reading this + 15 seconds to calm inner excitement + 15 seconds to actually do it. Get ready.. it is that simple. 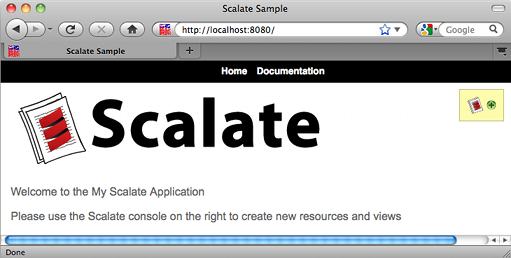 At this point you are good to start working with the Scalate project. 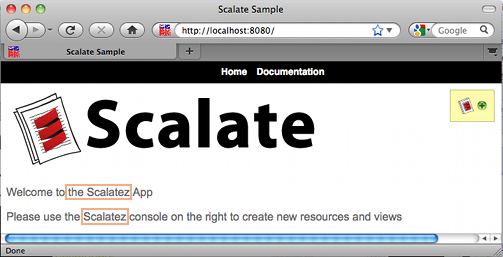 This entry was posted on Friday, January 7th, 2011 at 16:02	and is filed under scala, scalate. You can follow any comments to this entry through the RSS 2.0 feed. You can leave a comment, or trackback from your own site.